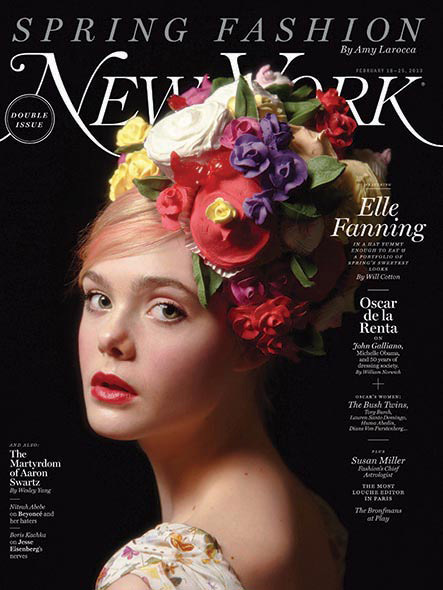 In this collaboration between New York Magazine and artist Will Cotton (which originally ran in the 2013 February issue), actress Elle Fanning is made to look sweeter than she already does. In addition to being the photographer and stylist, Will Cotton designed many of the sets, accessories and clothes inspired by spring fashions by other designers. 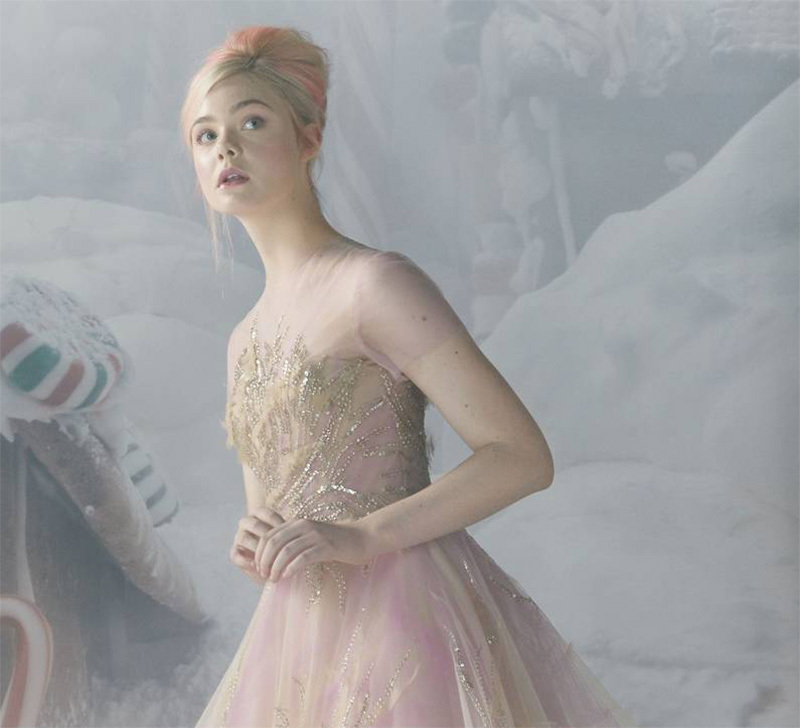 In his inimitable style, Cotton bathes actress Elle in whipped cream dresses, candy crowns and petit fours, just like he does in much of his other artwork and photography. 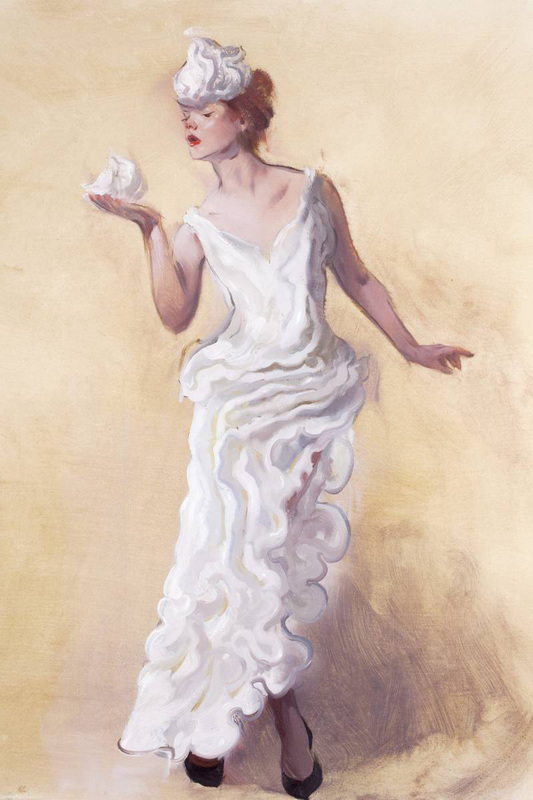 above: Whipped-cream dress sketch, oil on paper, Will Cotton, based on Balenciaga by Nicolas Ghesquière, available at 138 Wooster St.; 212-206-0872. 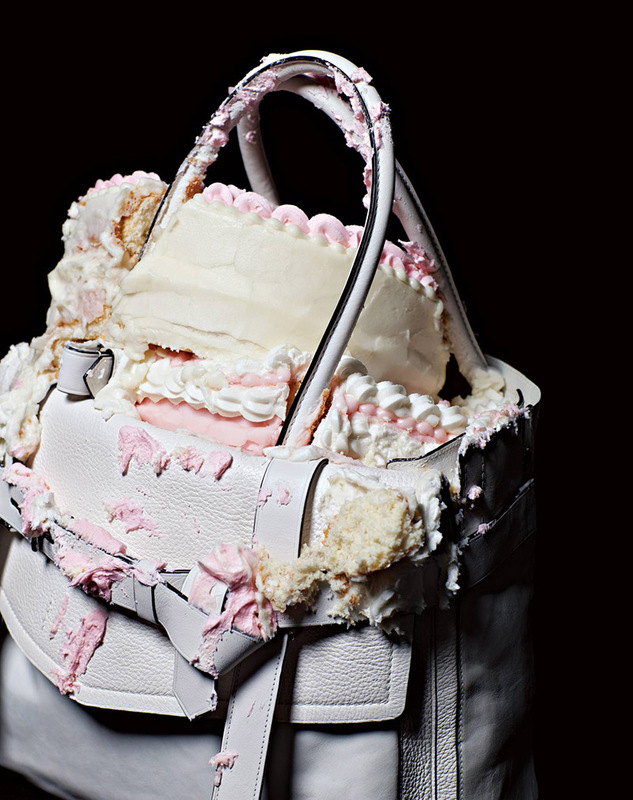 For this project, Cotton, who describes himself as a “three-desserts-a-day kind of person,” used spring looks that had caught the eye of New York’s fashion director Amy Larocca, as well as a few that tickled his own fancy. 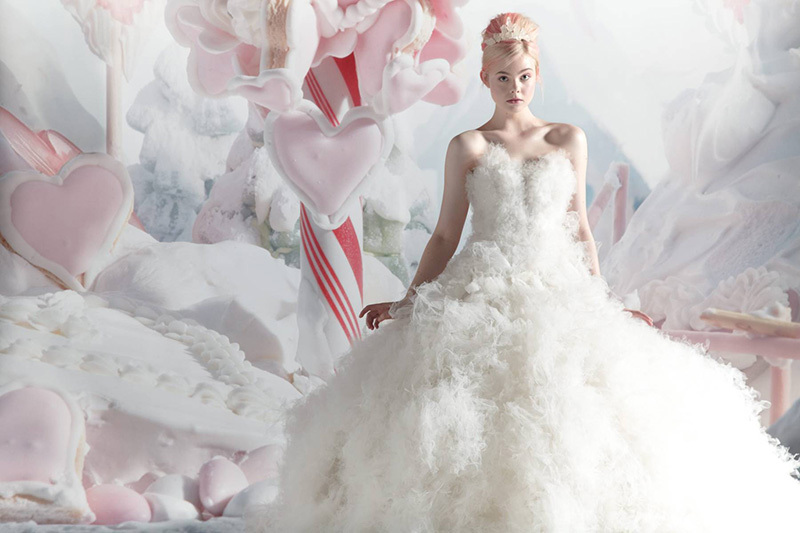 He then reworked them using real materials whenever possible — cake, frosting, meringue, and homemade rock candy. 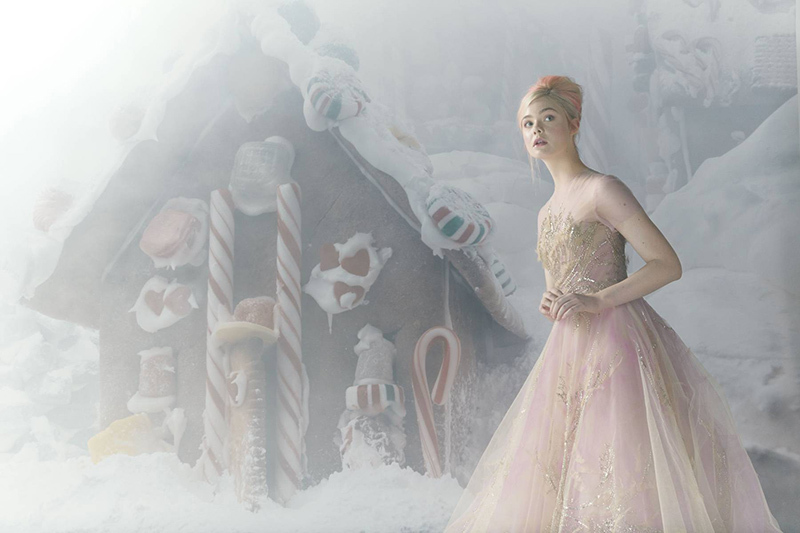 above: Elle Fanning in Gown by Marchesa, available to order by calling 212-463-8135.
above: Corset and earrings, Will Cotton, based on Dolce & Gabbana. Bodysuit, Dolce & Gabbana, available at 825 Madison Ave.; 212-249-4100.
above: Headpiece by Will Cotton. 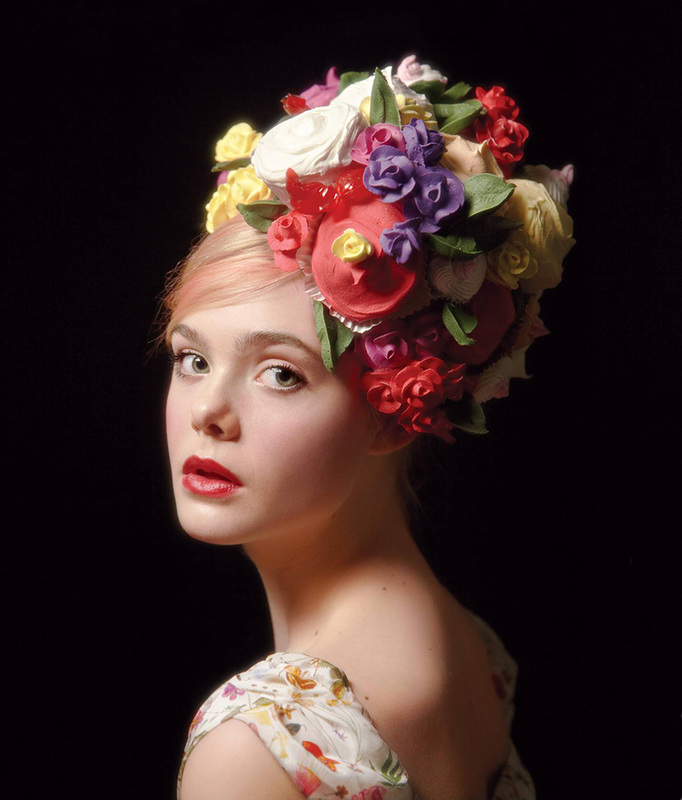 above: Headpiece, Will Cotton, based on Alexander McQueen, available at 417 W. 14th St.; 212-645-1797. Gown, Marchesa. above: Eyes, Will Cotton, based on Dior, available at Dior.com. above: Bag, Reed Krakoff, available at 831 Madison Ave.; 212-988-0560.
above: Dress, Erdem and Will Cotton, available at Net-a-porter.com. above: Shoes, Valentino Garavani, available at 746 Madison Ave.; 212-772-6969. Robe, Agent Provocateur. 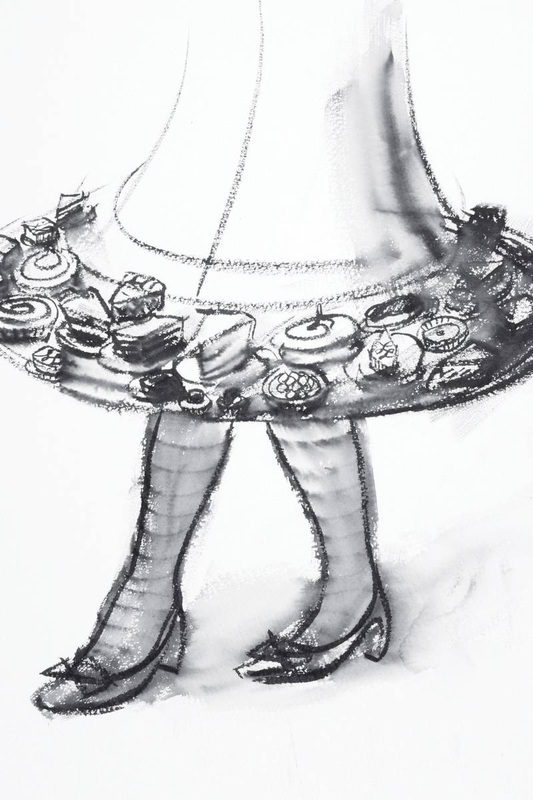 above: Dessert skirt, ink on paper, Will Cotton. 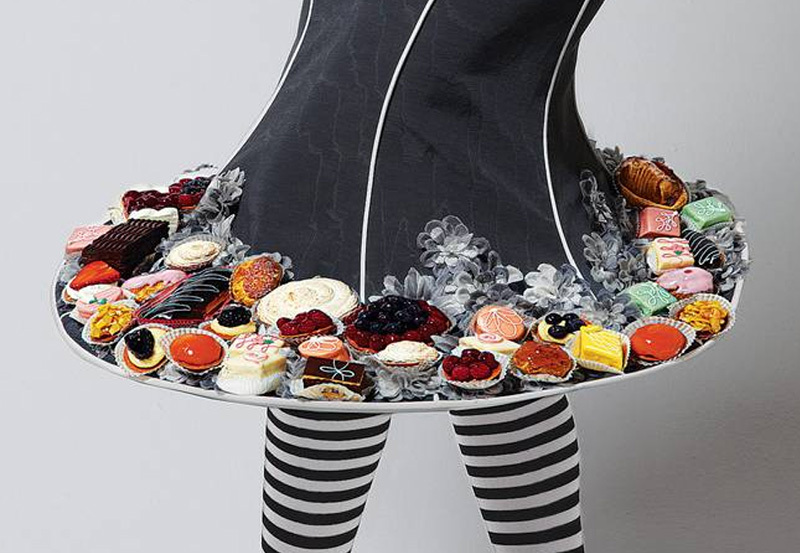 above: Petits-fours-covered skirt, Thom Browne and Will Cotton, available at 100 Hudson St.; 212-663-1197. Shoes, Louis Vuitton. above: Dress, Dior, available at 21 E. 57th St.; 212-931-2950.
above: Necklaces, Will Cotton, based on Chanel, original available at 15 E. 57th St.; 800-550-0005. Crown by Will Cotton. Swimsuit by Chanel. above: Romper, Louis Vuitton, available at 611 Fifth Ave.; 212-940-4635. Ink on paper, Will Cotton. 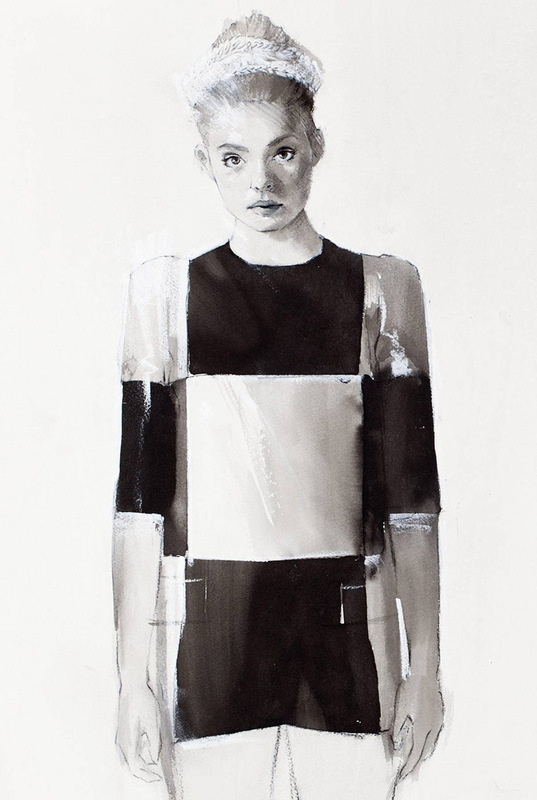 above: Dress, Will Cotton, based on Derek Lam, original available at 10 Crosby St.; 212-929-1338. Lipstick, Candy Wrapper by Three Custom Color. above: Dress, Marc Jacobs, available at 163 Mercer St.; 212-343-1490.
above: Bag by Will Cotton, based on Fendi, original available at 677 Fifth Ave.; 212-759-4646. Dress by Valentino. 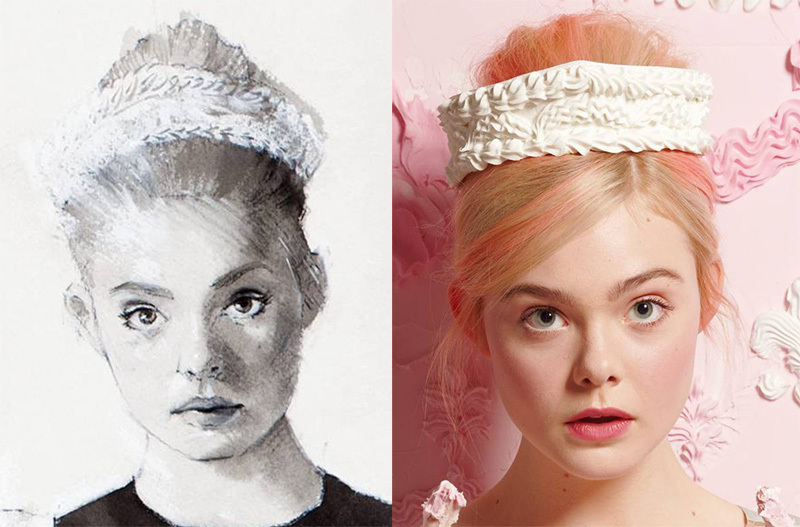 above: Dress, Reem Acra, available at Saks Fifth Avenue, 611 Fifth Ave.; 212-753-4000.
above: Vivienne Westwood–inspired Will Cotton headpiece, original available at viviennewestwood.com. A shout-out to my friend and artist Danny Heller for bringing this great work to my attention.